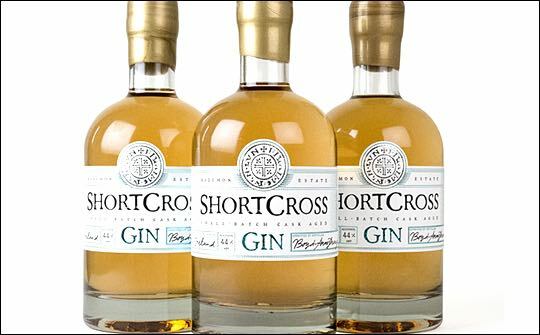 Rademon Estate Distillery in Co. Down, Northern Ireland, has launched a limited edition cask aged Shortcross gin. The new gin was created by resting Shortcross gin in French oak casks which had previously contained Cuvee Prestige wines at the Chateau de La Ligne in Bordeaux. The casks were selected by head distiller and operations director David Boyd-Armstrong with the help of the chateau owner, Terry Cross of Wine Geese fame. Commenting on Rademon Estate Distillery’s latest product Boyd-Armstrong says: “As the distillery has grown and developed we have been experimenting with ageing spirits in a variety of different casks and I am delighted with the results of this cask aged Shortcross gin”. The 44% ABV cask aged Shortcross gin exhibits the key Shortcross gin characteristics of being juniper led with citrus and floral notes, but now adds an abundance of bright summer berries with notes of rose petals and vanilla, combined with lightly toasted oak and velvety tannins. Just 160 bottles are available to purchase through London retailer Fortnum and Mason, where it will feature as the Spirit of the Month throughout February. As a subtle reference to this partnership the trademark copper foil on the Shortcross gin label has been replaced with Fortnum and Mason’s iconic duck egg blue. In addition, a further 300 bottles of cask aged Shortcross gin will be released through Rademon Estate’s distribution partners, JN Wines in Northern Ireland and Republic of Ireland. These bottles will be available through the JN Wine Store in Crossgar, Co. Down, JNWine.com and off licenses across Ireland, which purchase stock directly from JN Wines. Rademon Estate Distillery is Northern Ireland’s first and only craft distillery founded in 2012 by husband and wife team Fiona and David Boyd-Armstrong, and is located at the couple’s historic family estate just outside Downpatrick, Co. Down. Last year, the distillery announced that it had laid down the first casks of a new Irish malt whiskey, the first bottles of which are expected to be released in summer 2018. There are also plans to open a unique visitor centre at Rademon Estate later in 2016.